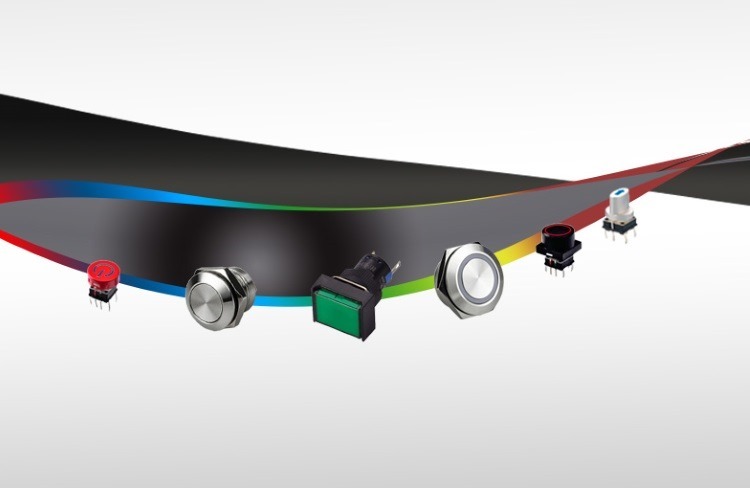 Among the extensive range of products showcased on the RJS Electronics stand at Southern Manufacturing 2019 will be its new short body/low profile metal switches (RJS1N1LP), IP rated Plastic Switches (RJSPS) and Surface Mount RGB Switch ranges (RJS-KA / PB615). The short body metal RJS1N1LP switches are available in sizes 12mm – 25mm, with or without LED option. The item is waterproof IP67/IP68. The 19mm is available in two options as a PCB and screw type. The Plastic Panel Mount RJSPS are a range of durable plastic Momentary/Latching switches, Keylock/Selector Switches and Indicators/Buzzers all of which can be customised to feature special symbols/legends. The PB615 Range available as through hole/SMT mount can be customised to suit your product with custom symbols or with a single/bi-colour/ RGB LED illumination. Along with standard products, the firm offers customisable options, including legends, wiring, LED colour options and different coloured cap/body finishes to support your product design. RJS Electronics Ltd, has over 15 years of experience in supplying high-quality electro- mechanical components to a variety of industries worldwide, focusing on delivering excellent customer service, high quality products, competitive pricing and fast turn around for speedy delivery. Visit RJS Electronics Ltd on Stand C150 or find out more about its products and services at www.rjselectronics.com.